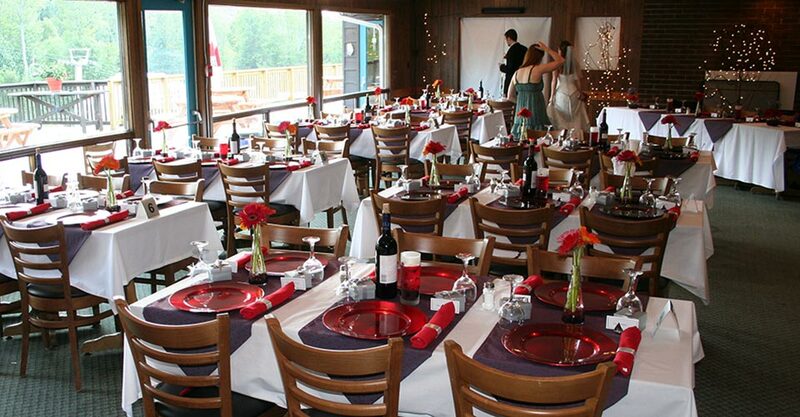 Host your wedding at the most unique setting in the picturesque Haliburton Highlands. 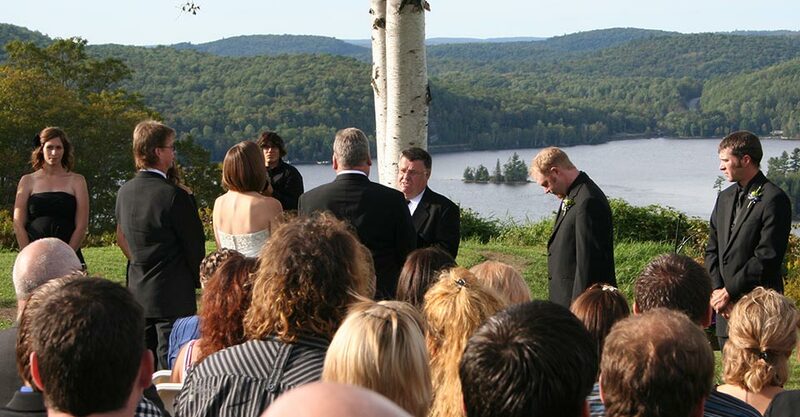 Imagine your ceremony on the crest of the ski hill, overlooking beautiful Eagle and Moose Lakes, your wedding party and guests whisked to the hilltop via scenic chairlift ride. 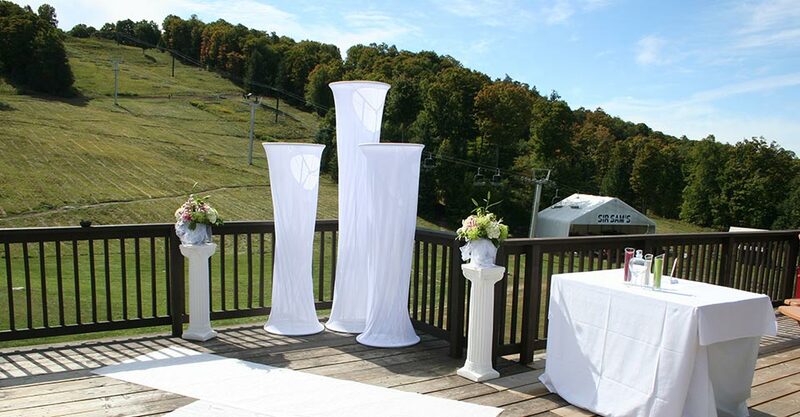 Topside, a large, level open area at the top of the ski hill presents an ideal location for ceremony seating and wedding tent. Or, hold your ceremony on the spacious sun deck or in the comfort of the ski chalet in front of a beautiful hand-crafted stone fireplace. 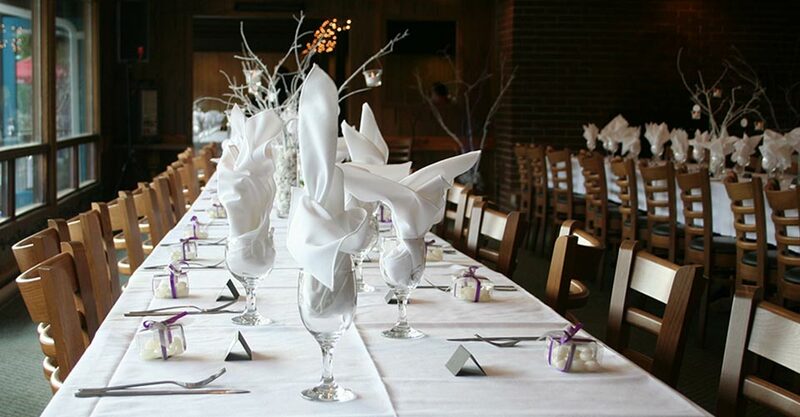 Hire the caterer of your choice to provide your celebratory meal. Decorate the chalet to match your vision and taste. With early access to the chalet for preparations you will be stress-free the night before your special day.  We at Sir Sam’s Ski / Ride will work with you to accommodate all you imagined your very special day to be. 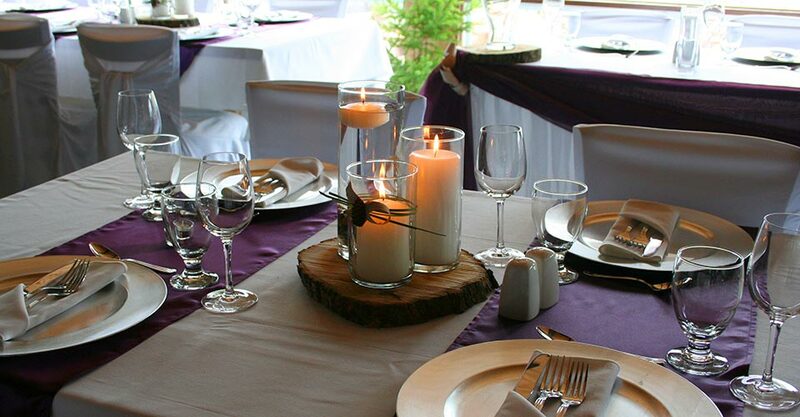 Call 705-754-2298 to begin planning your wedding with us.